CRRC's suspended monorail. Credit: CRRC. The Chinese rolling stock manufacturer said the prototype is the fastest of its kind in the country, travelling at speeds of up to 70km/h. 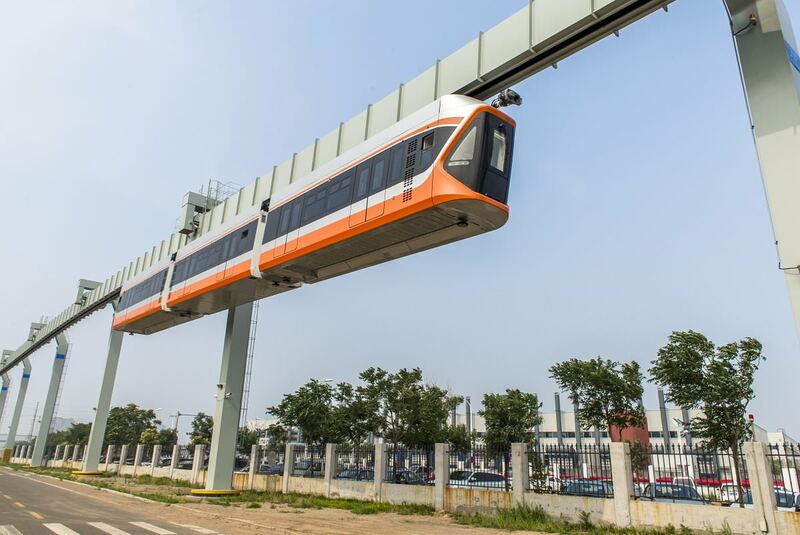 CRRC Sifang is currently delivering the country’s first suspended monorail project in Hancheng city, Shaanxi province. Construction began in November, 2016. The suspended monorail vehicle is driven by a permanent magnet motor. 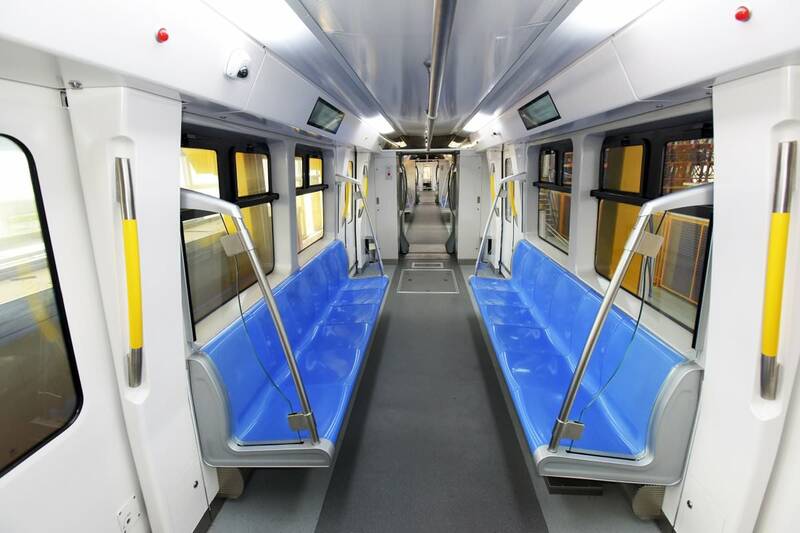 It is composed of three (pictured) or five-car vehicles, carrying up to 300 or 510 passengers, respectively. 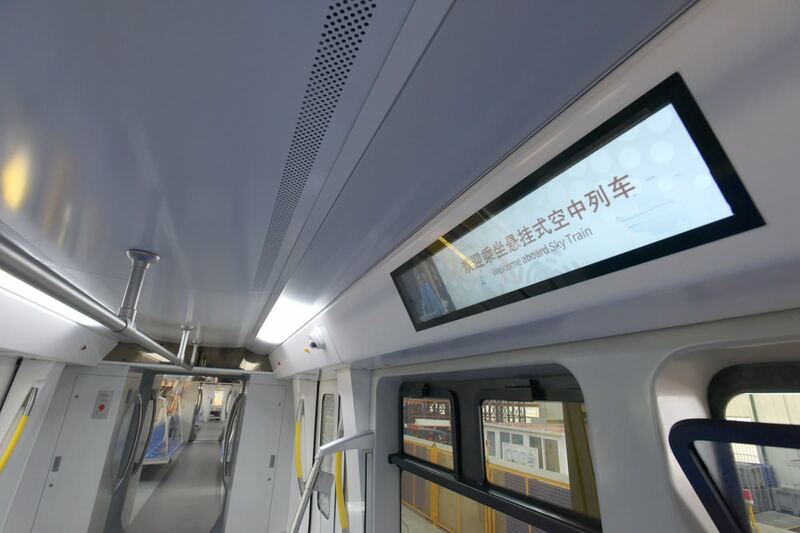 CRRC said that the train has a strong climbing ability and that the system is suitable for passenger transport in “scenery areas, mountainous regions and urban areas where road traffic is heavy”. Hope they cleared the name with Sir Freddie Laker’s estate!